The VEVO website offers millions of videos for your enjoyment. These videos range from music videos, performances, television shows, movies, and more. Of course, for many people, watching these videos online is not enough. Downloading is also a great way for preserving the videos. It is possible to download VEVO videos directly to your computer to view them anytime you want. This can be done with Aimersoft YouTube Downloader. 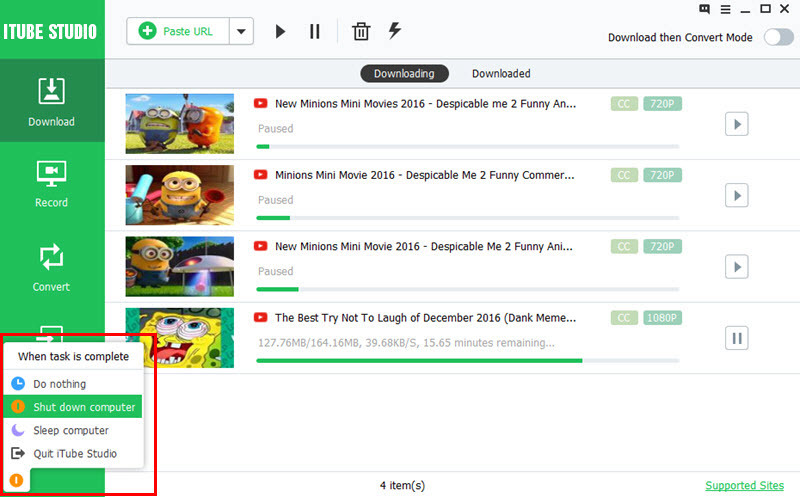 Aimersoft Best YouTube Video Downloader is one of the best software with which you can download videos from VEVO as well as many other video sharing sites like YouTube, Hulu, Vimeo, Dailymotion and more. With this VEVO video downloader, you can also convert the video you have downloaded to all of the major formats to enjoy the video across different devices and in different video viewing programs. To download VEVO videos on Mac, you can use Aimersoft YouTube Downloader for Mac which is fully compatible with Mac OS X 10.6 or later (Mavericks included). With the Aimersoft VEVO video downloader, you can download video and view the video on all of your portable devices, such as the Android and iPhone. 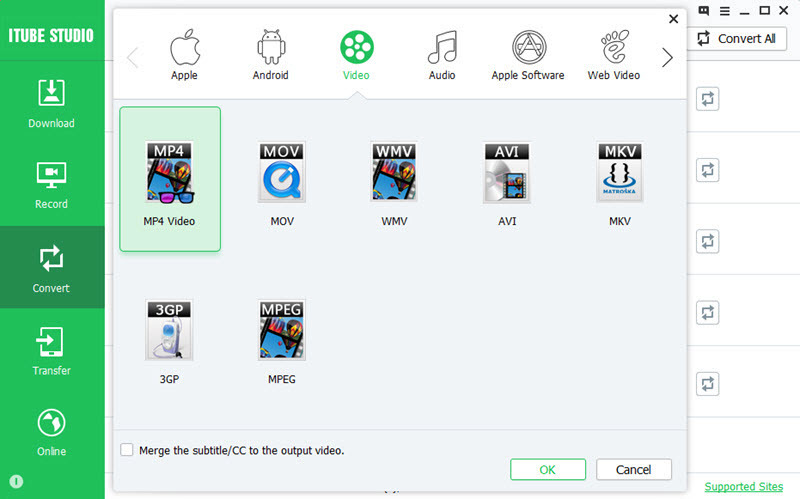 In addition, you can also view the video in a range of different software, from iTunes to Windows Media Player. Just follow the step below to have a try now! Once you have downloaded and installed Aimersoft YouTube Downloader, a Download button will appear on the top right corner of the video each time you watch a VEVO video. Simply click this button and you will be able to download the video instantly. You can also copy the VEVO video URL and click the Paste URL button on the left top of the program's interface. For Mac users, you can also directly drag and drop the video URL into the interface to add the video to the download queue. If you wish to convert the video, simply turn to the Finished tab and select the video you want to convert. And then click the Convert button next to the target video clip. Choose the file format you want in the pop up window and click OK to start the conversion. Downloading videos is a simple few step process that enables you to watch your favorites at anytime, and any place by transferring them to a portable device. Get started now! Vevo is a website founded and operated by three media companies: Abu Dhabi Media, Universal Music Group, and Sony Music Entertainment. EMI has licensed the content on the website without assuming ownership. Given that fact, it then follows that the company shares music videos from Universal, Sony, and EMI records. Warner should have been part of the endeavor but they chose to partner up with MTV instead. Vevo is not available in all countries. It only serves the United States, Canada, UK, Ireland, Brazil, Australia, New Zealand, Italy, France, Spain, The Netherlands, and Poland. Right now, more than 50,000 videos can be viewed and enjoyed through the website. In the US and Canada, the Vevo TV channel is already live. Viewers can watch music videos and special features on it at all hours of the day. The Mac Youtube Downloader provides the perfect companion software to any Mac user. They call this software the best of it's kind for downloading videos onto a Mac or PC and it's so true. I've gotten such enjoyment from all the videos I downloaded via Vevo with the Mac Youtube Downloader.